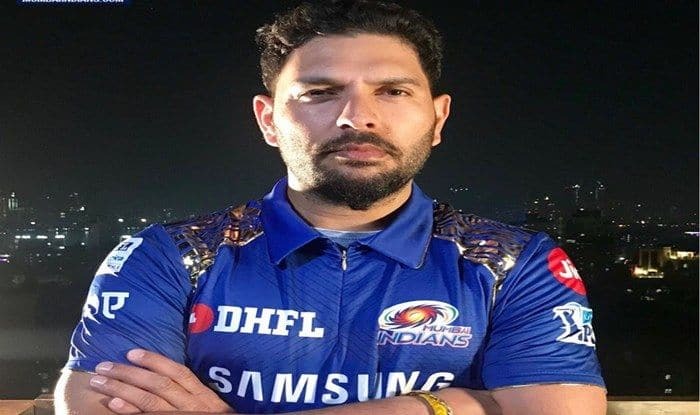 Akash Ambani, who was present at the IPL 2019 Auction made it clear earlier that they did not take Yuvraj out of any emotional appeal but that the veteran India stalwart is someone they had been eyeing to get on board over the years. Age is just a number. this proverb fits perfectly well in the case world cricket’s two biggest stalwarts – Yuvraj Singh and Lasith Malinga. There is hardly any honour which has deluded these two fantastic cricketers in their glorious international careers. Even at the fag end of their careers, both Yuvraj and Malinga are still a force to reckon with in limited-overs format and are pretty much wanted assets in every franchise. Both these will players will once again be seen in action during the upcoming Indian Premier League 2018-19 for one of the most popular franchises – Mumbai Indians. After the much-followed IPL 2019 Auction – MI owner Akash Ambani, son of tycoon Mukesh Ambani talked in-depth about the two key takeaways – Malinga and Yuvraj. While Malinga has always been an integral part of MI since the inception of IPL, Yuvraj found his sixth franchise in this auction after almost missing out in the first round of the bidding. Ambani scion also made it clear earlier that they did not take Yuvraj out of any emotional appeal but that the veteran warhorse is someone they had been eyeing to get on board over the years. Yuvi has scored over 2,600 runs in 10 IPL seasons (he missed the 2012 edition), Malinga has over 150 wickets in eight editions that he has played till date. He further went on to say that the management had very clear roles for these stalwarts and was happily surprised that we were able to get both for their respective base price. Apart from these two heavyweights, Akash heaped praised on the other 4 signings – Barinder Sran, Pankaj Jaswal, Rasikh Dar and Anmolpreet Singh – and believed that they had the ability to be in the starting XI for MI. Three-time IPL champions Mumbai Indians (MI) bought six players in the auction of the 2019 edition held in Jaipur on Wednesday. MI owner Akash Ambani, son of tycoon Mukesh Ambani, who was present on the occasion taking key calls on the auctioning, had made . Together, they are expected to make a force even though their combined age is 72.